Compatibility: Requires iOS 9.3.5 or later. Happy Birthday to The Very Hungry Caterpillar! Celebrating 50 wonderful years, your app now includes special bonus content, including a special message from author Eric Carle himself! #1 Education app in over 25 countries! Hungry Caterpillar Play School is certified by the kidSAFE Seal Program. To learn more go to www.kidsafeseal.com. "This is a marvelous learning app for toddlers to kindergarten-age kids because of its range and content." - Common Sense Media. Your little caterpillar deserves every chance to succeed. Eric Carle's Hungry Caterpillar Play School is specifically designed to give young children every advantage they need in math, spelling, reading, writing, science, nature studies & creative arts. 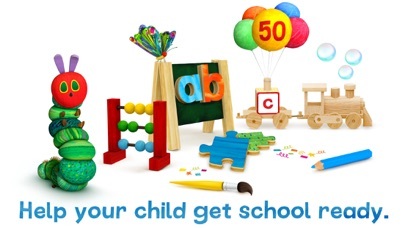 Help your child get ahead and school-ready with internationally recognized early learning goals. Learning should be fun! We've made sure your child's experience is filled with wonder and humor, as well as leveraging the most up to date best practices in children's education. EVERYTHING YOUR PRESCHOOLER NEEDS IN ONE APP: • SHAPES AND COLORS: Prepare children for understanding math, art, reading & writing. 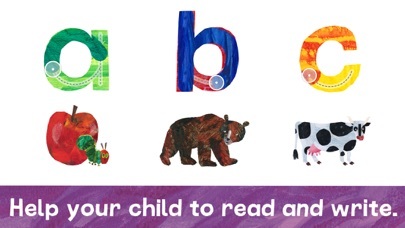 • ABC SECTION: Establishes the building blocks for reading success. Learn about the letters of the alphabet & how they join together to make words. • 123 SECTION: Guides kids through every concept they need to learn to set them up for math proficiency. Repetition is key, so we’ve specifically designed this section to be different every time. 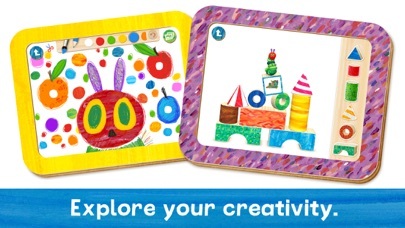 • ART SECTION: Expand your child’s imagination and encourage artistic expression. Budding artists can draw, paint, color, design & create in unique ways: Paint or cut out collages. As little fingers play & explore they’ll discover all sorts of fun features. 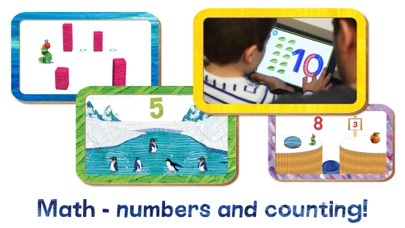 • PUZZLES: Age appropriate puzzles are so important in childhood development. Jigsaws teach children to use their own minds to figure out how to solve problems. Plus they're fun! • One of the best ways to encourage your child to read, is to read to them. LEARN ABOUT THE WORLD BOOKS are engaging non-fiction titles specifically tailored for young children. 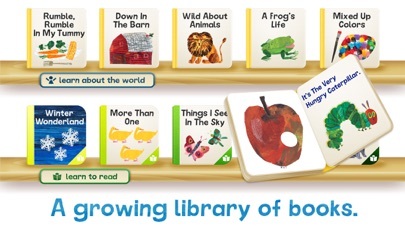 These books are read aloud to your child & feature themes of nature, science & art. • LEARN TO READ BOOKS are a tailored reading experience guiding children through the early reading levels. These titles are designed for independent reading but if your readers encounter a word they don’t know, they can tap on that word & it will be read aloud. These interactive books encourage kids to learn at their own pace. • NEW SPECIAL 50th ANNIVERSARY SECTION: A very special book featuring Eric Carle's most beloved characters. 10 Little Rubber Ducks video. A special message from Eric Carle. • Subjects are supported & enhanced by SONGS & VIDEOS to deepen your child's learning. Songs are a proven learning tool used by teachers all over the world. Marvel as your child grows, and takes off — just like a butterfly. If you're experiencing any issues email us support@touchpress.com **This app is optimized for iPad 4 and above, iPhone 5S and above, iPad Mini 2 and above. Games do not keep my 4 year old’s attention. Poor customer service. I have called and emailed to get this expensive app deleted from my account. It’s still there. Somehow a subscription was added and my request to cancel still has not been granted! 0 stars! I haven’t really been able to use it yet since I was having trouble with the sound. Customer support was super helpful and helped me figure it out so I will give it a try now! Tried everything, no sound at all? Pro: Well-done and thoughtful app Con: WOW! Costs $50 each year? As a retired educator I really like the app for my grandson. However, kids do not learn to write the number 1 with a “ roof” nor the 4 as on a keyboard. Same goes with the t... do you consult with educators? Would be helpful if fixed! Great app but no sound? Immediately required signing up for a 50$/ year to open a trial game.